Regard the Rose powered to a near 3-length trial win and set the top qualifying time for the $206,815 Shue Fly Stakes at Sunland Park Racetrack Casino and Hotel on Friday. 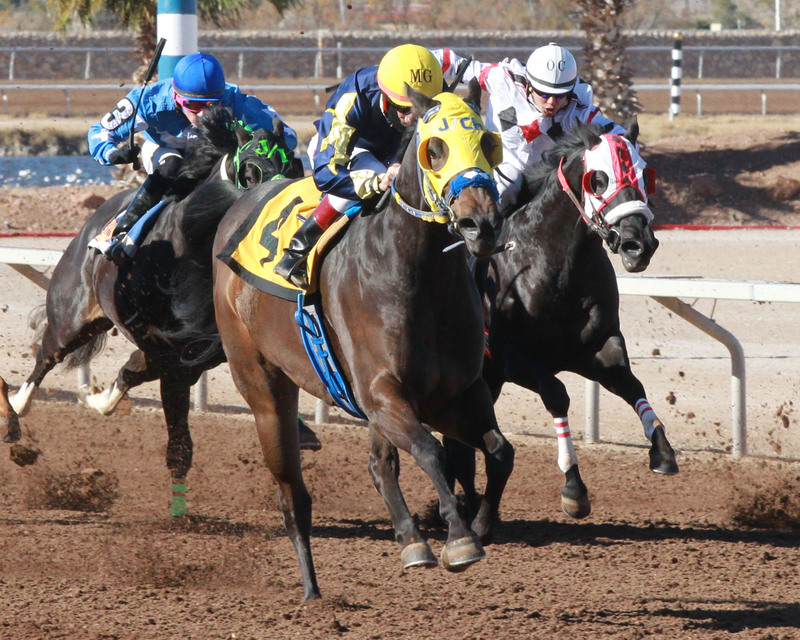 The New Mexico-bred two-year-old daughter of Chick Regard dominated her trial foes and stopped the clock for the 400 yards in 19.148 seconds. Manuel Guiterrez rode the 5-time winner for owner Mason King and trainer Juan Chavez Ortega. She should receive plenty of support in the 46th running of the Shue Fly to be run on Sunday, January 14, 2018. Here are the Shue Fly qualifiers: Regard the Rose, 19.148; Frangellica, 19.269; Everybuddys Talkin, 19.290; Daddys Blushing, 19.311; Leftlane, 19.411, First N Forever, 19.491; Daddys Copy, 19.543, Jesse Klee, 19.559; Scooters Crown Jewel, 19.601 and Flashin Cartel, 19.614. Live racing resumes on Saturday and Sunday (Christmas Eve). Post time each day is 12:30 p.m.